Aiwen Zhu won at No. 1 singles and teamed for a No. 1 doubles victory for UNLV in its 4-2 loss to No. 35-ranked Columbia in a nonconference women’s tennis match Thursday at Fertitta Tennis Complex. 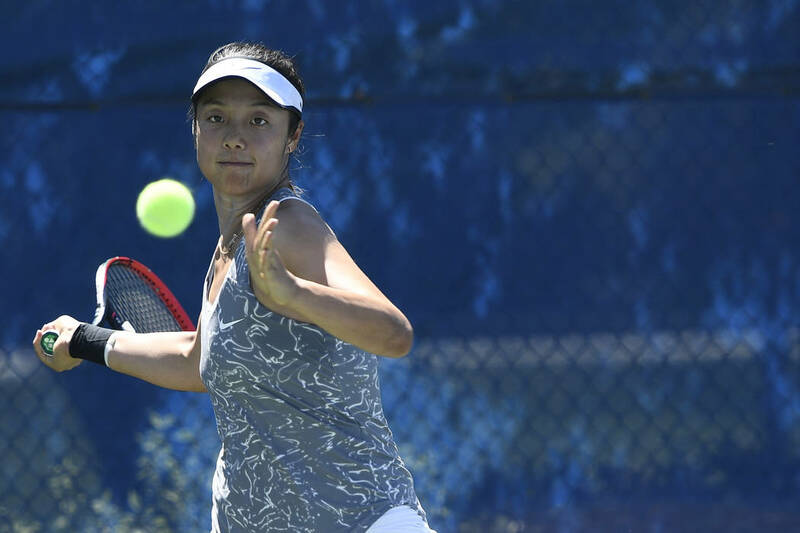 Akansha Bhan won 2-6, 7-5, 6-0 over Izumi Asano at No. 2 singles and teamed with Melissa Sakar for a 6-4 victory over Connie Li and Samantha Li at No. 2 doubles for the Lions (10-1), who won their 10th straight match. Zhu, ranked No. 96 nationally in singles, won 6-3, 6-2 over Jennifer Kerr and team with En-Pei Huang for a 6-2 victory in doubles. Zhu’s doubles win was her 83rd, moving her to sixth on the Rebels’ career list. She needs one more doubles victory to move into a four-way tie for third in program history. Asano teamed with Anna Bogoslavets for a 7-6 victory at No. 3 doubles for UNLV (9-6), which fell to 7-2 at home.